I recently just purchased a pretty nice looking CLD-59 Player. I'm wondering how good this is (i assume decent enough since it's an Elite model). Such as how does it compare to a CLD-D-704? Sorry to say there is a lot of great info when doing a google search on these models. Any working player at this point is the best player you can own. From what I understand that model is a CLD-D604/5/6 under the hood, which makes it an average LD player. Biggest drawback that I've heard is that the DNR can't be turned off on that model. I think ebay is a good way to find a good LD player. This is a good player PAL / NTSC, 220V and the buyer give a warranty for 2 years ! This is quite rare to find a plyer perfectly working during 2 years ! Then is is not a bad idea. On ebay you can find a lot of player depending on your needs and your wallet size ^^ ! A very good NTSC player. Be careful, you will need a Voltage transformer 100V > 220 for this one. Right now 60 usd is too much for me to spend on a player, let alone 600. Maybe look for the lower end units similar to the CLD-104, such as the 315 maybe? or is that a PAL player. Sorry I am not so familiar with the EU models. How much to you plan to spend ? Last edited by ertoili on 11 Jul 2018, 20:30, edited 1 time in total. 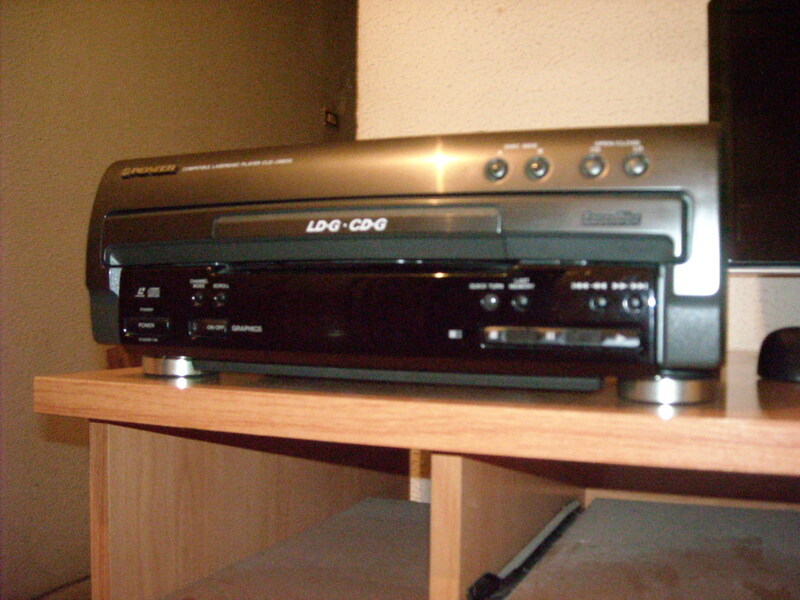 what about these LD player auctions that say ; ....tested and working unit with a CD music...¿? Sometimes OK but you are taking a risk buying from someone who has no idea what an LD is. I would only buy from someone who owns discs and can test it, or take the risk. That’s a really really low end model. I wouldn’t really want one at any price. It’s loud and rattles and makes a lot of video noise. It took until the mid 90s until Pioneer could make a $299.99 player. Before that only the S201 was even close to as cheap and that wasn’t so great either. I have to say, I’ve never tried to purchase an LD player in France in 2018 on a budget. It can’t be easy. I also have to say I don’t really know why anyone would...it’s not like France is filled with great LDs to watch. What is it? Some sort of built-in LD+G? EDIT: or rather I assumed it was but I don’t see any mic inputs. If it is for a tower, it makes sense to have the mic inputs in another device, like the amp. Also it appears to have TOSlink, you don't see those in karaoke models. Really I've only had one or two Karaoke models, I can't remember if they did or didn't have that as I sold them back in the day. But I didn't know that they aren't on Karaoke models. Well I'm not an expert, maybe Japanese models do have TOSlink because LD+G uses the optical signal for the G part. But then, if this has built-in LD+G already, why would it need one?